Locksmith Toronto is your first choice in security system installation along with lock and key service provider in Toronto and the GTA area. There is nothing more important than security. Locksmith Toronto believe that if you have security you feel safe. 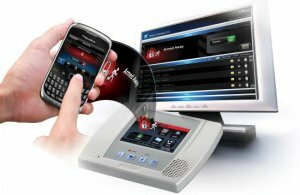 The best way to feel safe is an alarm system for your home or office. Our locksmiths at Locksmith Toronto are able to install residential and commercial alarm systems at great competitive prices. Our locksmiths will come to your location and find the proper alarm system for your home and for your constant protection. Our locksmiths at Toronto Locksmith find the best alarm system for your home or business and install it for you for same day service. Locksmith Toronto offer a variety of locksmith services aside from alarm systems such as lock installation, high security locks and lock repair to name a few. For more information on Locksmith Toronto services please call 1888-242-7044 or fill out the form and one of our representative will be happy to assist you with any questions regarding our locksmith services. We aim to provide you with the best locksmith service from the first phone call to our representative until your locksmith problems have been resolved.